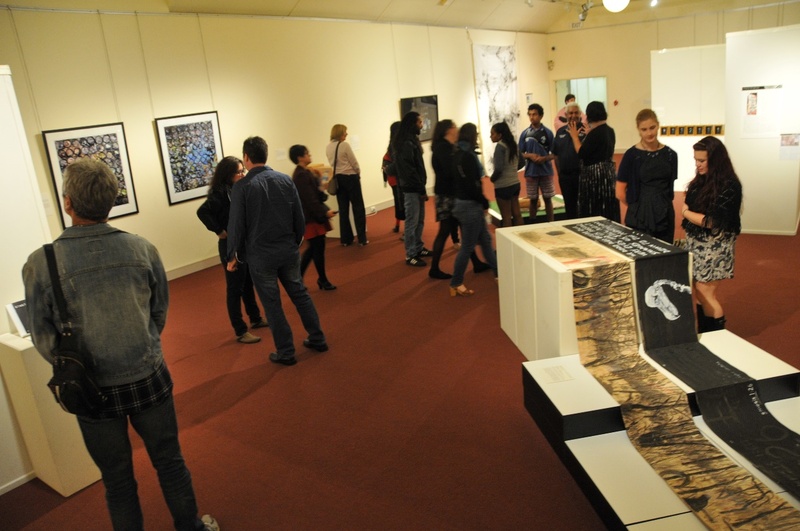 Bimblebox: art – science – nature exhibition opens in Gladstone. It was a very special opening in Gladstone last night for the Bimblebox: art – science – nature exhibition because we shared the platform and gallery with the local Aboriginal and Islander community and a wonderful NAIDOC week exhibition. Local elder Jacqueline Johnson gave a welcome to country and lead a group of young Aboriginal girls in a traditional dance and song. 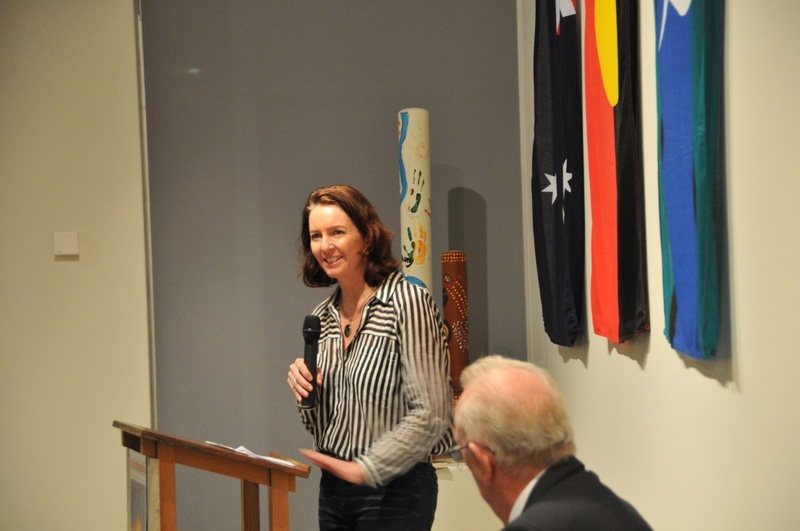 Then Belynda (Bindi) Waugh spoke about her vision for the Gladstone Indigenous Cultural Precinct project. It was great to see so many local Councillors in attendance, including the Mayor, Gail Sellers, who officially opened the exhibitions. There was a great turn out of around 150 people sharing a common desire to care for country and work together towards a more sustainable future. I have to say that I was a little surprised to find this community spirit alive and well in Gladstone – a place that is such a long-standing cornerstone of Queensland’s coal industry. Could it be that the tide is really turning?! Heartfelt thanks to Jo Duke, Director of Gladstone Regional Art Gallery, and her fabulous staff and volunteers for hosting the exhibition and having the conversation with your community. 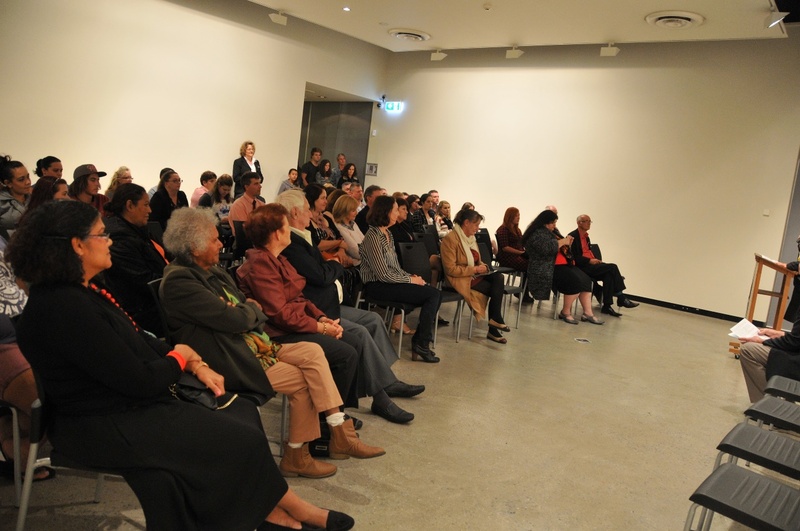 An audience gathered to hear speeches and enjoy an Aboriginal dance, song and welcome to country for NAIDOC week. Local artist Sheree Audet with the artwork ‘Fine Print’ by artist Liz Mahood. Thank you Sheree for bringing along Bimblebox Alliance membership forms and Bimblebox Quilt raffle tickets to the gallery. It was great to meet you and great to have your support. 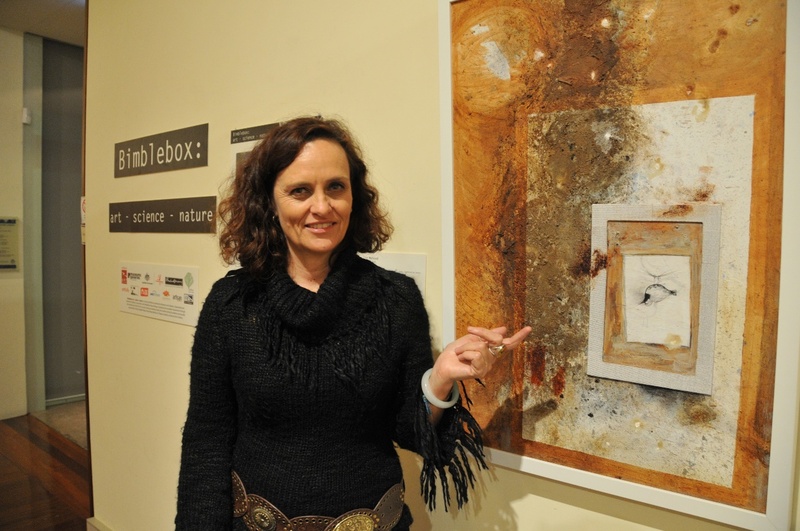 Curator Beth Jackson says a few words at the opening of Bimblebox: art – science – nature at Gladstone Regional Art Gallery. It was a real pleasure and an honour to share the evening with NAIDOC celebrations and the generous local Aboriginal and Islander community.